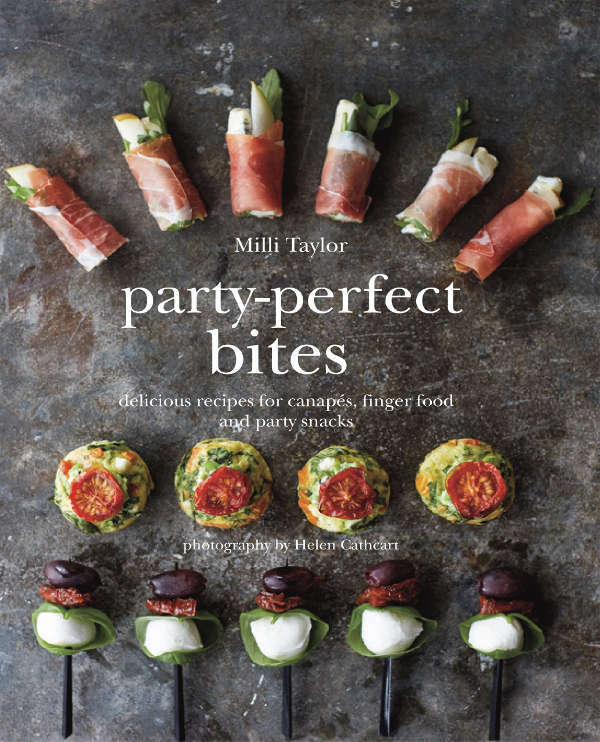 A mouthwatering collection of recipes for small bites and fingerfood—ideal for serving at parties or any social gathering, large or small. Ideas for fresh light bites for summer entertaining include Smoked Eggplant Purée with Feta Cheese and Pomegranate in Chicory Boats; Ceviche of Seabass with Avocado and Chipotle Dressing; Tuna, Wasabi and Mooli Rice Paper Rolls; and Grilled Peach, Mozzarella and Parma Ham Bites. Warmly spiced Asian-style canapes, ideal for cocktail parties, include Seared Beef Tataki Spoons with Miso Sauce and Scallions; Laksa Marinated Shrimp Skewers; and Squid in Crunchy Coconut with Lime and Chilli Mayo. Ideas for festive gatherings include Stilton with Red Wine Poached Pear on Walnut Toast; Smoked Salmon (Lox), Cream Cheese, Watercress and Beet Rolls; Quail Egg, Hollandaise and Roast Cherry Tomato Tartlets; Glazed Baked Chestnuts Wrapped in Bacon; and Persian Sausage Rolls with Pistachios. For those with a sweet tooth there are Rose and Raspberry Profiteroles, Cocoa Nib and Salted Caramel Brownies, Mini Candy Cane Meringues with Whipped Cream, Berries and Raspberry Coulis and Mini Donut Balls on Coffee Shots.